Beans, Corn, Radish and Potatoes. Fruit size varies with variety. 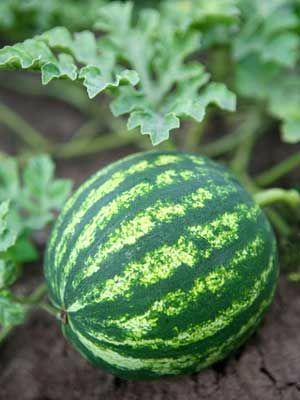 Small "icebox" watermelons mature quickly and take up less space compared to huge watermelons. Ripe watermelons sound deep and resonant when thumped, and the curled tendril opposite the melon should be brown. Wipe clean and store indoors.